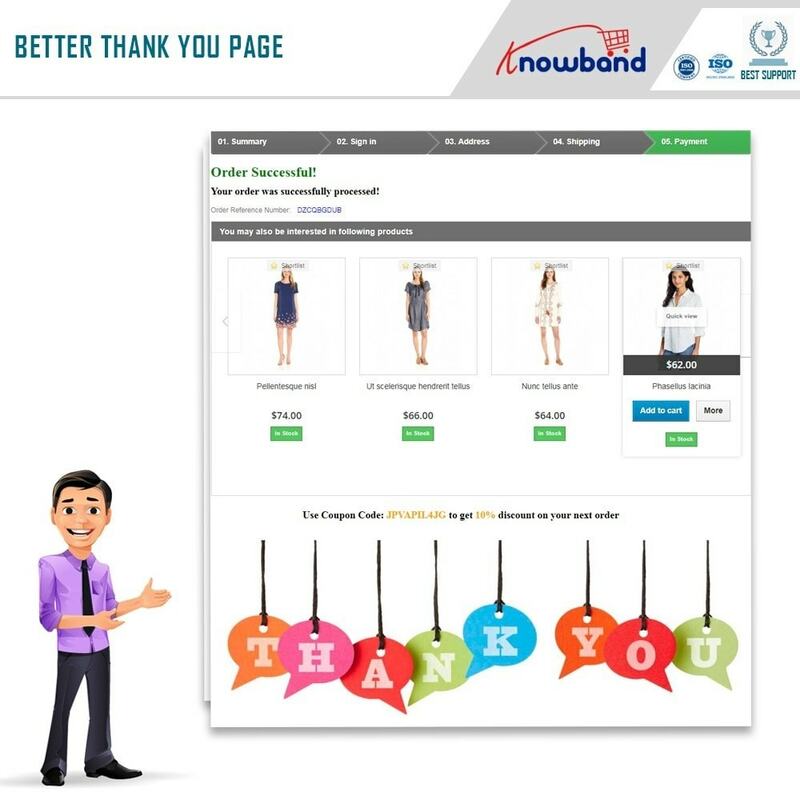 Prestashop Better thank you page module converts your order success page into a powerful marketing tool where you can show related products, automatically generated discount coupons, banners, and HTML content easily. If a customer is on order success page, it means you have successfully made a sale. However, it's not a time to sit back and relax. You can use this opportunity to conduct a wise marketing activity using this Prestashop Better Thank You Page addon. 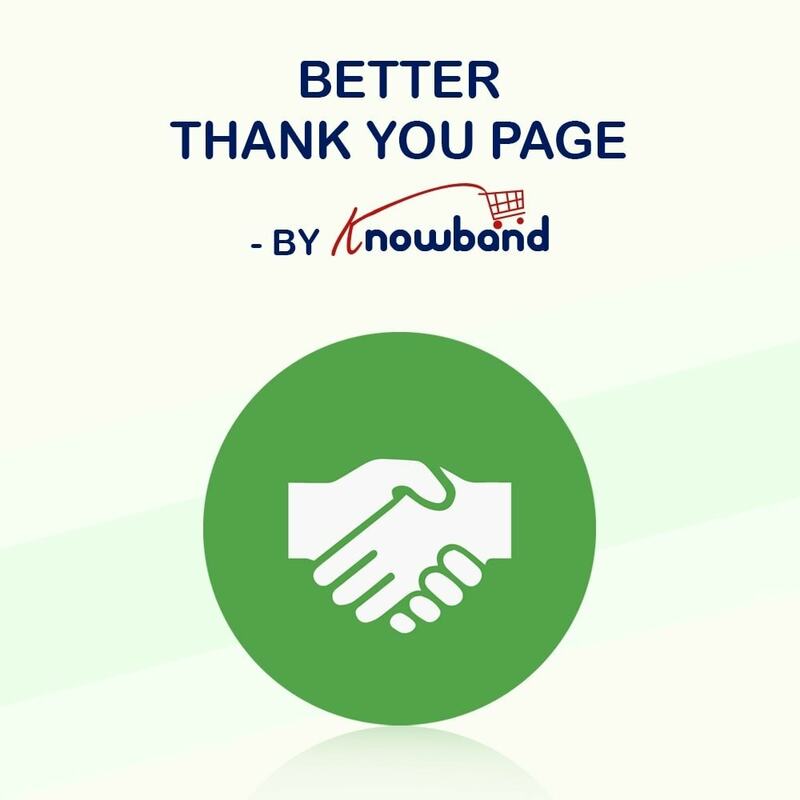 You can show Order reference number on the thank you page. 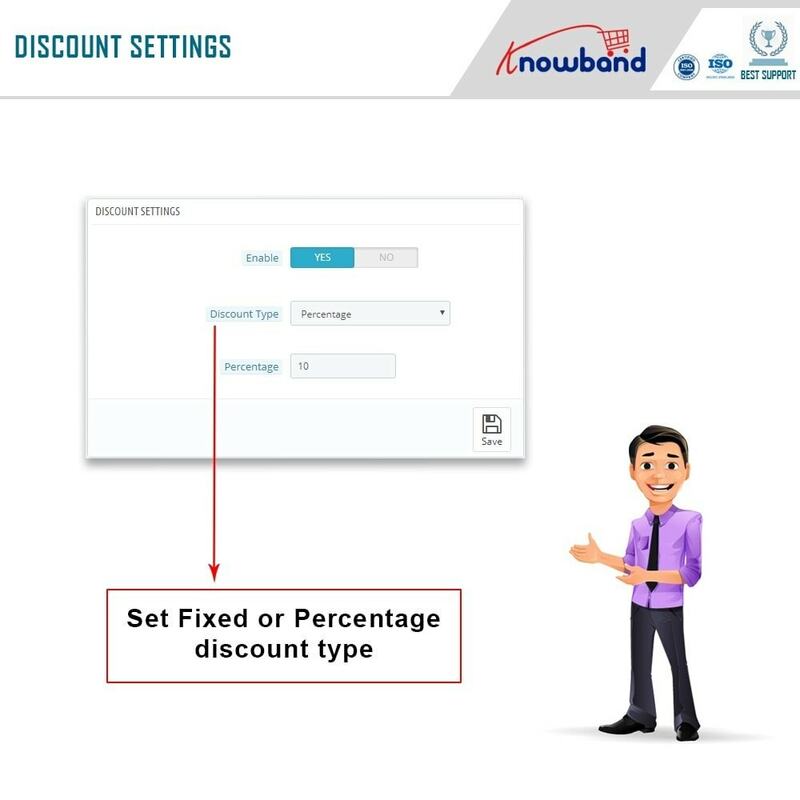 You can offer some random discount by showing a discount coupon for next purchase. 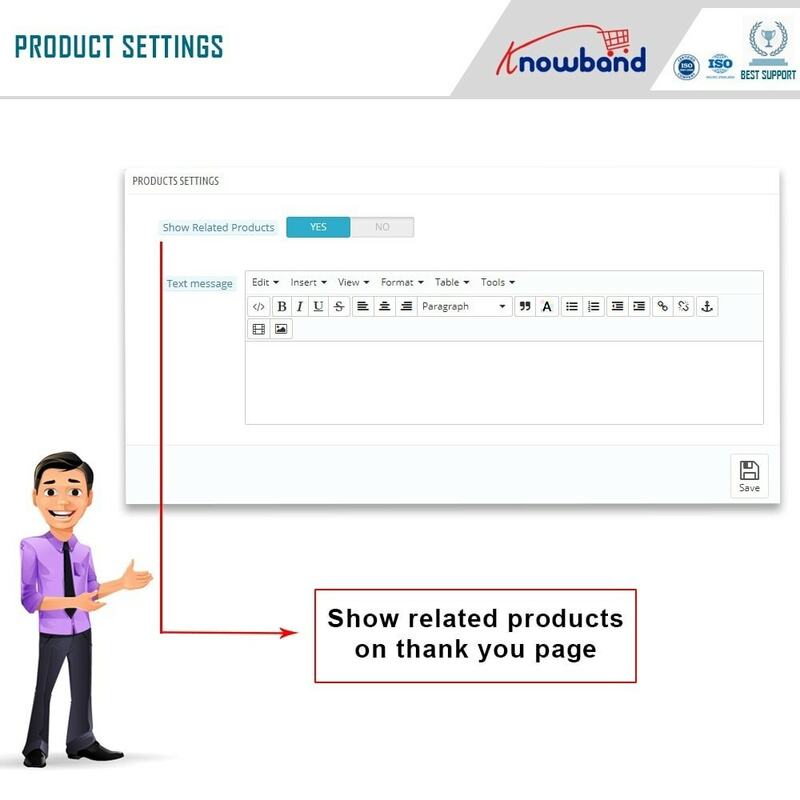 You can show related products to suggest the best-suited products to purchase for the next time. 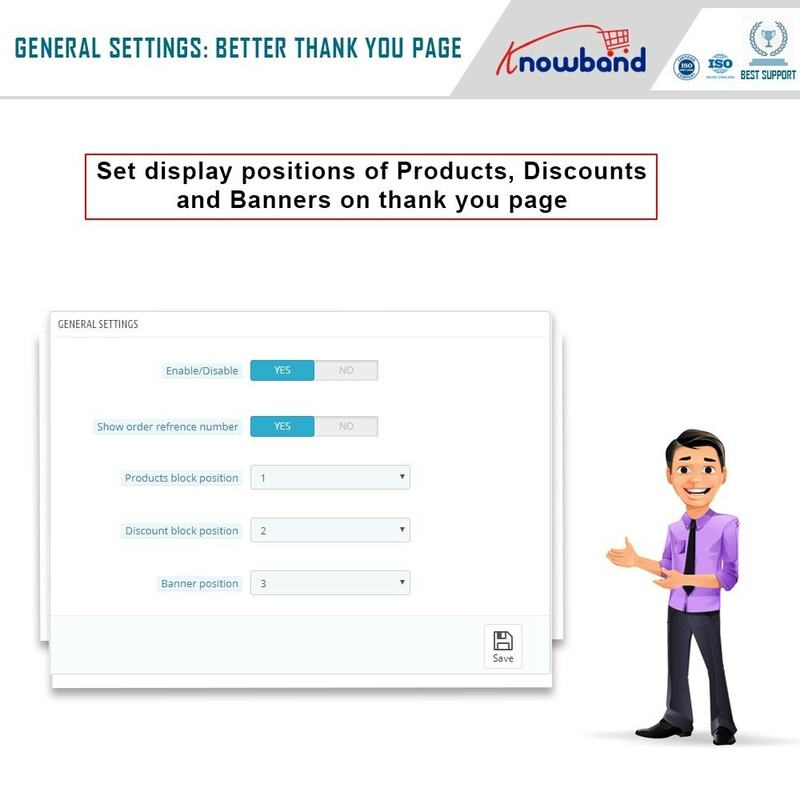 You can show an advertisement banner to showcase the offers in your store. You can add any type of HTML content on the page as per your need. Prestashop Custom Thank You Page module is easy to install and configure; no technical knowledge required. Enable/disable the Prestashop Better Order Confirmation Page module anytime you wish to; your default order success page will be restored. Prestashop Better Order Success Page offers an option to show/hide order reference number on the success page. Prestashop Custom Thank You Page offers an option to show randomly generated discount coupon on the success page. Option to show any type of HTML content like an advertisement banner or related products. You can upload the Ad banner image from the backend of the Prestashop Better Order Success Page plugin. Mobile responsive page; works well on mobile devices too. Show your customers related products to encourage them to buy more. Prestashop Better Thank You Page extension is SSL compatible. Prestashop Better Thank You Page plugin is compatible with all PrestaShop themes. Prestashop Better Thank You Page module Doesn't conflict with any other third-party module. They will love the discount coupon surprise that they can use for their next purchase. The mobile responsive interface will let them earn the discount even while shopping from a mobile device. 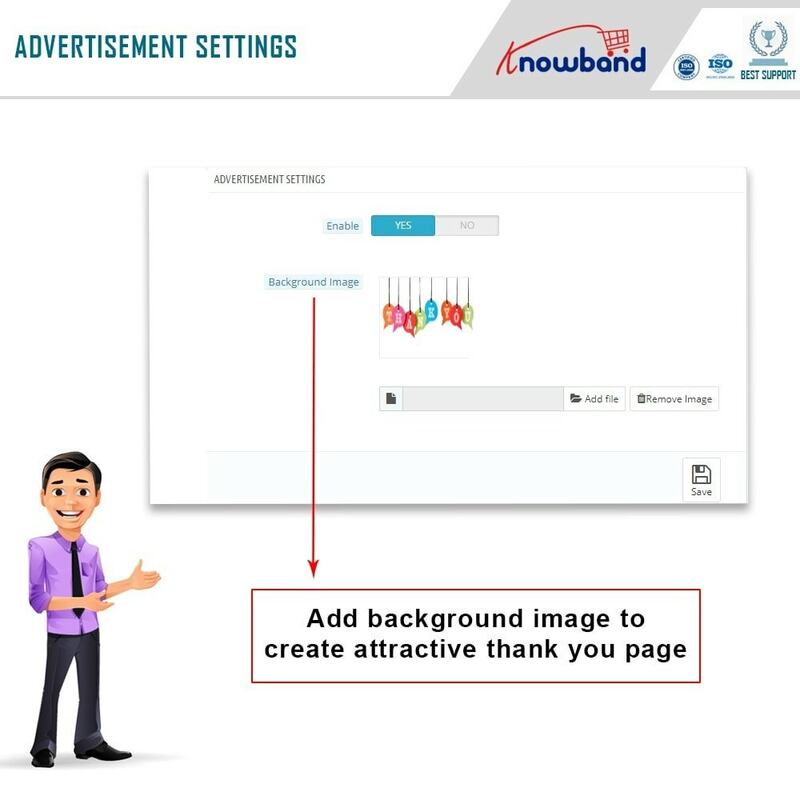 Ad banners will let them discover latest offers on your store. Related products will guide them to purchase best-suited products using the discount coupon.